As usual we have heard a lot of different rumours regarding what Apple are set to provide smartphone fans this year which have also included cheaper models, and now the iPhone 5S with differing screen sizes is being touted for a July release. 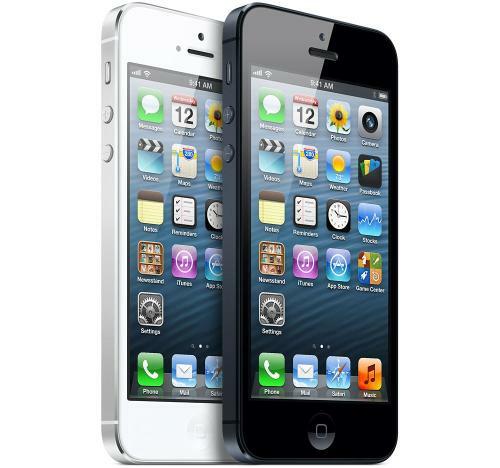 Away from a cheaper version of the iPhone being speculated about for release this year, the focus has been on the iPhone 5S which is thought to be a minor upgrade to last year’s model. Now according to Topeka analyst Brian White fans of the company could have a choice of screen sizes this year with the iPhone 5S also arriving in July. The claims are being made after meetings are alleged to have taken place with the supply chain for the device, and the iPhone 5S could come in at least two or maybe three different screen sizes. White stated that Apple now believes that only having one screen size on offer doesn’t suit everyone, and is looking to provide more choice to expand its market share. While no exact information is given about the screen sizes that will be available in a way it does make sense for the company to make such a move. The company does now offer the iPad in two screen sizes and they have managed to get apps working on both sizes without any difficulties. Apple may provide a device that is the same size as the current model as well as a bigger display to please those that prefer the larger sized smartphone, and the third model may return to the 3.5-inch of the older iPhone models that could become the much rumoured cheaper iPhone. While this rumour has to be taken with a pinch of salt it would be a good idea for the company to broaden its appeal to the buying public with a variety of iPhone models on offer. Do you think we will see more than one screen size with the iPhone 5S? Source: Viral Phone via Business Insider. Next article Next post: Samsung Galaxy S4: Is it living up to the hype?